People of India are very fond of eating. They love to eat. There are many South Indian dishes that are very famous and popular among the Indians. These dishes can be used as a breakfast or as the meal. The people of India are mostly vegetarian so they eat the vegetarian foods. Here is the list of top ten most popular vegetarian dishes of South India. You should must try them all. 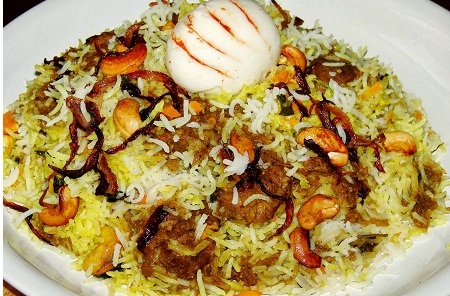 It is the one of the famous and the most delicious dishes of South India. It is a special type of pancake which is made of the fermented rice mixture and the coconut milk. It is considered as the staple diet of the state of Kerala. 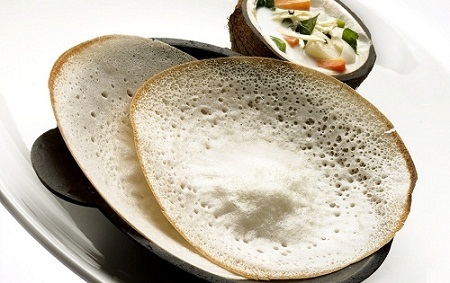 Besides India, Appam is equally popular in the Sri Lanka as well. 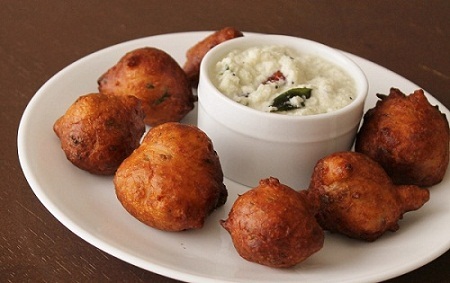 It is also called as the Mangalore Bajji which is made up of from the flour or maida. 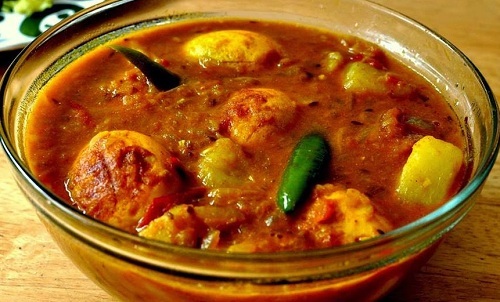 It is a famous dish of the South Indian for the people who love Vegetarian foods. The delicious flavors of curd, gram flour, rice flour, and some vegetables make this dish the one of the most famous vegetarian dish in south India. 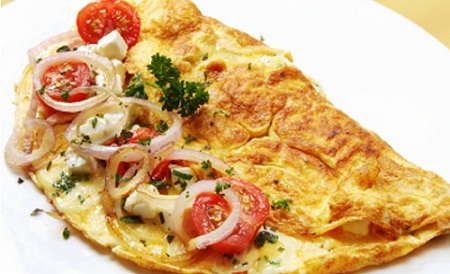 Veg omelet is the version of Indian Cuisine. Its main ingredients are the vegetables and eggs. The key ingredients that make this omelet most famous are the herbs that give specific aroma and flavor to this South Indian omelet. 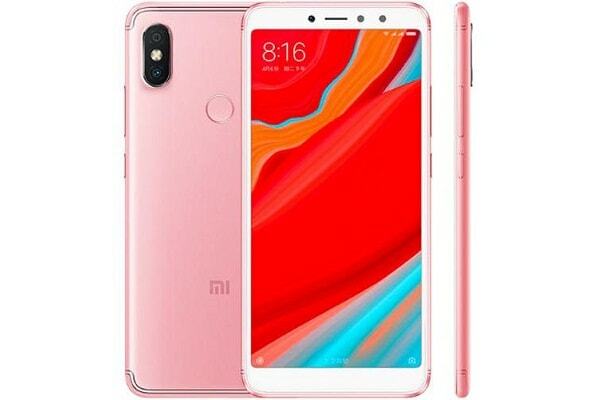 It is a word from Tamil language that means add. It is a type of a stew with the main ingredients of vegetable and lentils. Koottu is the semi solid dish like a dry curry. 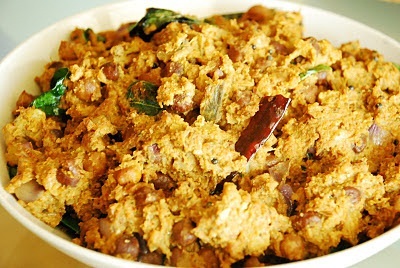 Many vegetables, tamarind, and ground spices are heated along with the lentil to make Koottu. 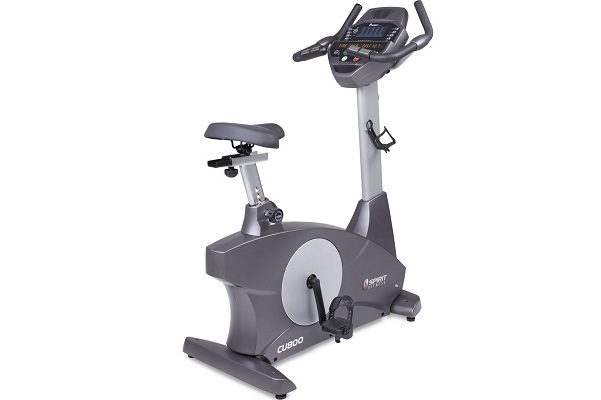 It is popular among the regions of south India. 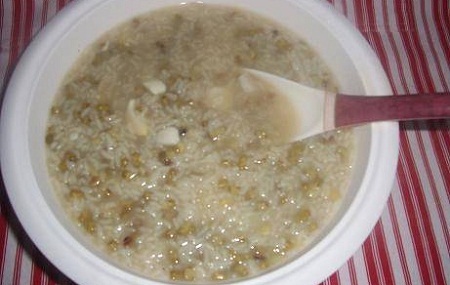 It is a type of porridge of rice that is thick and is popular in many countries of Asia including India. It is mostly served as the side dish in the lunch or dinner. Besides prepared in India, Kanji is prepared in Burma, China, japan, Indonesia and many other countries. It is a type of stew or chowder that is made up of lentils. It is a soup of lentils with the strong flavor of tamarind. 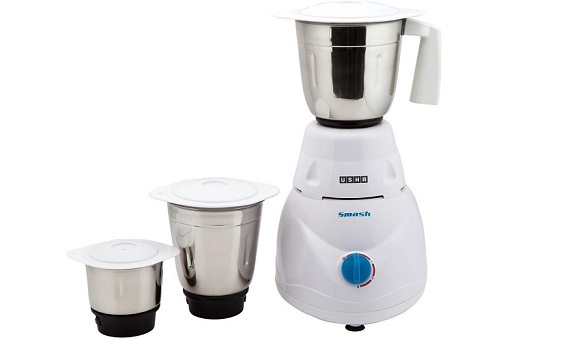 It is very popular in south India and also in the cuisine of Sri Lanka. 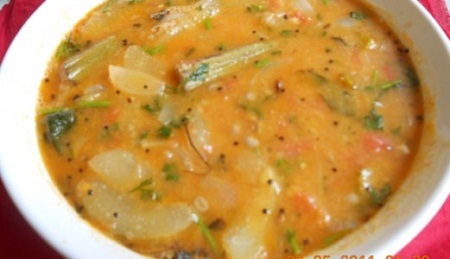 Several variations are made in Sambar according to traditions and cultures of the areas where it is made or liked. It is almost like a biryani with a veg twist. The vegetarian version of this biryani is liked by the people of South India with the strong flavors of spices like cinnamon, cumin, cardamom and star anise with the surprising flavor of coconut milk. 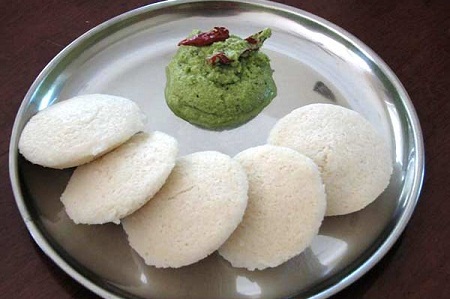 Idli is one of the most popular vegetarian dishes of the south India which was also originated in India. It is a savory cake that is taken as the breakfast in countries like India, Sri Lanka. Idli is made of the batter of black lentils and rice which is very soft and fluffy. And it tastes great when served with chutney. It is type of fritter or a snack that is usually eaten in the morning or as an evening snack. 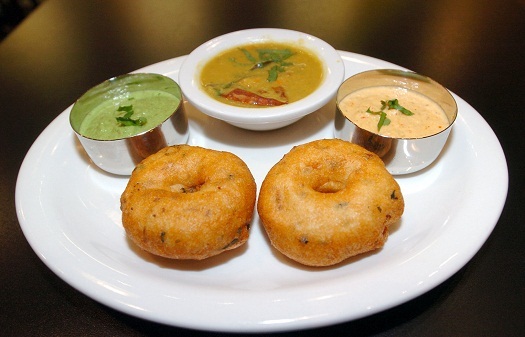 It is a type of donut that is made up of lentils, gram flour and often variedly potatoes are dosed. It is the famous dish of South India. 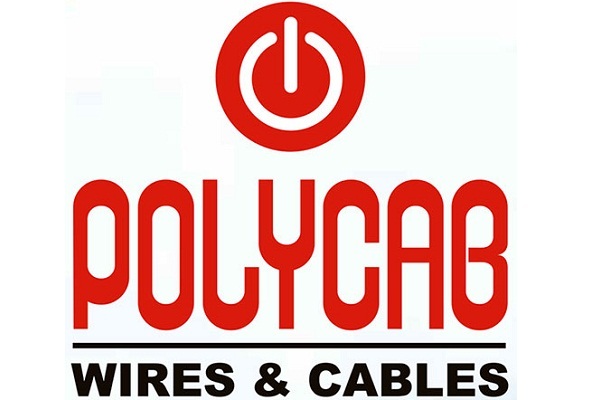 It was originated in the Tamil Nadu. It is taken in the breakfast or as a course of evening. 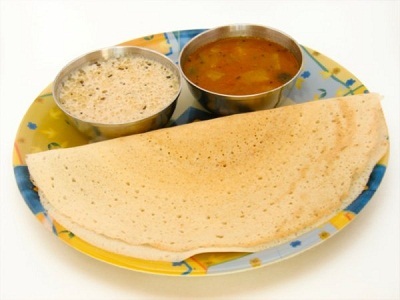 Dosa is the most favorite and popular dish of the people of India mostly liked in the south India. It is also a fermented pancake that is made up from rice and lentils; the Masala Dosa is the variation of Dosa and is equally popular among the people in India.